If you have only experienced High Trek during the daylight hours then you might consider a different experience of visiting us after dark. If you are looking for a fun date night or something to do with your friends, try the course some day when we are open after dark. 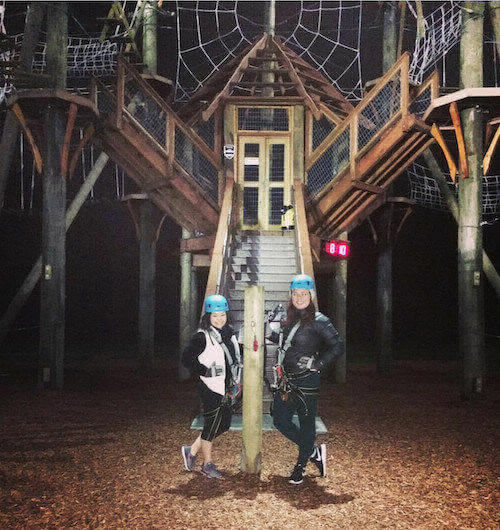 Usually we offer night climbs during Friday and Saturday Nights May-September. Watch the schedule or if you have a large group of 10 or more we might be able to open the course special for your event. 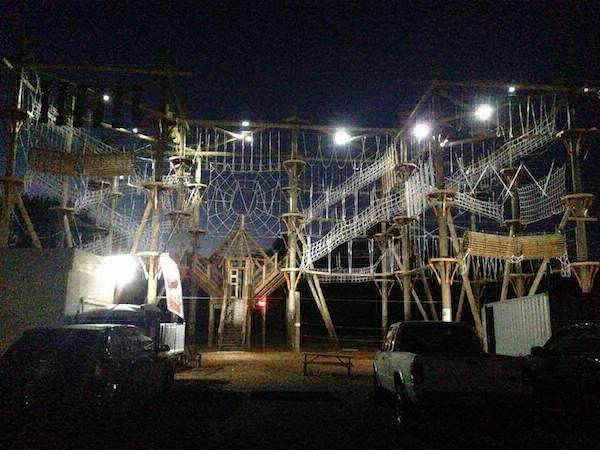 Believe it or not we have been told that the course can be a little less scary for those who are afraid of heights at night. Because of the lower visibility due to the dark, the height does not seem to be as noticable for participants. Because the lighting brings out the obstacles and features of the course, less light makes it through to the ground and you can focus on the elements that are near to you rather than focusing on the ground below. Soaring through the dark on the ziplines is a thrill as well. Their is very little illumination between the platforms so you can lean back and look at the stars as you zipline through the air.